When Is It Recommended To Hire A Lawyer? March 13, 2019 Dylan Dunn Comments Off on When Is It Recommended To Hire A Lawyer? If you’ve been in a car accident or have suffered an injury because of someone’s negligence, you’ll want to talk to a lawyer about your case. You may be entitled to a settlement of some sort, especially if you have substantial medical bills or have missed work because of your injury. If you’re in a situation like this, you may not have the funds to hire an attorney. Thankfully, many professionals are willing to work on contingency. Rather than required payment up front, they’ll simply take a percentage of your settlement. Depending on the state that you’re in, a DUI could lead to a fine, a loss of your license, or even jail time. You’ll want to work with a lawyer that can achieve the most favorable outcome possible for you. DUI charges can be devastating, but an experienced lawyer may be able to do a lot to minimize the damage. Anyone that is facing these kinds of charges should meet with an attorney sooner rather than later. You’ll want to deepen your understanding of your situation and start working with a professional as soon as you can. Citizens that have been charged with a crime of some sort have the right to an attorney. However, a public defender may not be able to give your case the level of attention that it deserves. These kinds of charges can significantly influence your life, and you’ll want to put your case in the best hands possible. You shouldn’t have to face these kinds of charges on your own. Instead, you should find a criminal defense attorney that is more than qualified to help you in court. Work with someone that will create a strong case on your behalf. Anyone that is ending their marriage will want to consult with a lawyer. Even if the split is amicable, ending a marriage can be a complex process. A lawyer will be able to ensure that all assets are divided fairly. Going through a divorce can be extremely stressful, and having an attorney that can handle the legal aspects for you can be a big help. Whether you’re interested in mediation or you expect your divorce to be more complex, you’ll be able to get a great deal of assistance from a qualified attorney. If you’re in a situation like the ones described above, it’s a wise idea to speak with a lawyer. Research your options and find a qualified professional that can provide the kind of help that you need. Many law firms offer free consultations, which means you should be able to meet with any lawyer you’re interested in working with to learn more. 1. A personal injury attorney can be hired during the occurrence of medical malpractice. Injuries sometimes happen due to the negligence of medical practitioners. Attorneys in this case help in pushing for compensation due to harm that has been caused by the carelessness of a medical professional. Attorneys such as Gregory Price Attorney at Law specialize in this field. For instance, a doctor may make a wrong and misleading diagnosis of a patient’s condition. This leads to wrong drugs being administered to a patient. In the long run, this ends up affecting a patient’s health. 2. Defective products can cause injuries to an individual. Personal injury attorneys can also be hired when suing against such injuries. When a company’s product is defective, it is important to hire an attorney at law to help in getting compensation. Side effects of products can lead to serious injuries. These side effects are at times left out of a product’s information. Attorneys can help and offer advice on how to deal with such cases. 3. Injuries caused by traffic collisions can be fatal. Collisions from vehicles can lead to serious medical problems such as paralysis. Legal representation can help an individual win a case. It is important for one to get proper representation in order for the settlement of the claim to be successful. 4. Personal accident attorneys can be used to represent individuals during animal bite cases. Severe injuries can be caused when an animal bites you. Pets can also end up infecting one with the rabies virus. Advocates provide legal advice on how a plaintiff can win an animal bite case and end up getting compensated. 5. Slip and fall accidents occur often. Such accidents can cause severe injuries. There may be a need for an individual to sue a company for such negligence. Majorly caused by tripping, these accidents can cause serious bodily harm that may need the assistance of a personal injury attorney. 6. Insurance companies may at times refuse to pay claims. Personal injury attorneys can be hired to push for the payment of these claims. This also applies to certain government agencies. The settlement of these claims has to be done through courts in order to force these agencies to pay claims. 7. Construction accidents can cause very severe injuries. These injuries can be life long. Attorneys can provide legal advice for plaintiffs who are injured at construction sites. Injuries can happen to construction site workers or even passers-by. Personal accident attorneys can provide legal counsel and representation to victims. They can help a victim to win their court cases ad secure settlements. The offer options for a victim during such times. When hiring a personal accident attorney, one needs to consider the experience and expertise that an attorney has. Extensive research needs to be conducted in order to ensure one hires the best attorney. The success rate of similar cases that an attorney has represented should also be considered before hiring. Although most people are fairly familiar with the basic principals of criminal law, having learned at least some of its most important aspects throughout the course of their lives, how it applies to real life situations can be quite different. 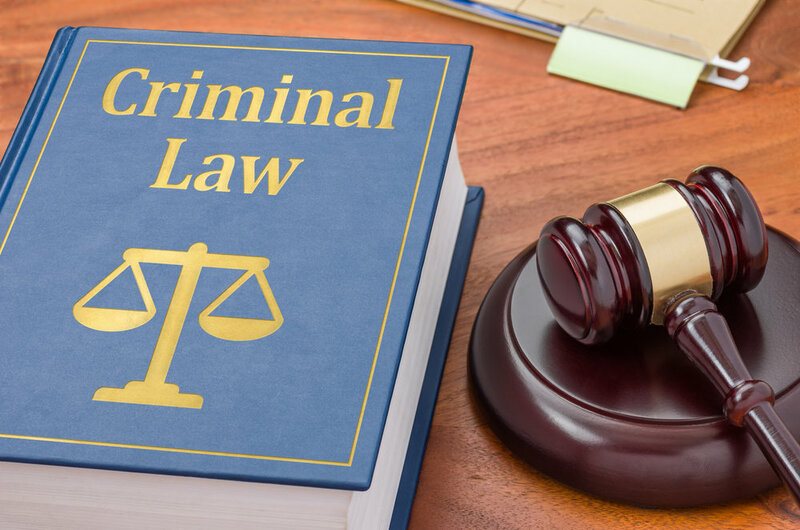 Criminal law is a broad topic that covers many different areas of the penal law, and it can take quite a few years of studying to gain a thorough understanding of it. However, the basics of criminal law can be grasped quicker if you are willing to do your research. Criminal law is essentially the rules and guidelines set out by state legislators as well as Congress regarding what sort of penalties apply to those who engage in publicly harmful criminal activities. 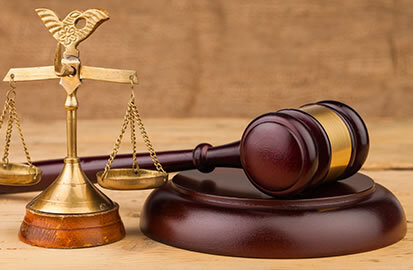 Criminal law also defines the way that criminals are prosecuted and charged, as well as the way investigations, are carried out to determine whether or not a specific individual or group of individuals is guilty of charges. Before an individual can be charged guilty under criminal law, the prosecution must convince the court that there was the intention behind the criminal act. Criminal law is almost always imposed by the State, and the criminal statutes of each jurisdiction will basically decide the punishment that is applied to the criminal offender. Punishments defined as “cruel and unusual” are not permitted, and normally there are various degrees of punishment that will be administered. The purpose of enforced criminal law is to deter the criminal from continuing to engage in the same or other criminal activities, rehabilitate the criminal, and administer retribution for crimes. There are a wide range of different sentences that will vary according to the severity of the crime, and in many cases a jury will decide the outcome of the appeal. The most usual punishments for violating a criminal law include obligatory community service, fines, probation, and imprisonment. The outcome of any criminal charges will depend on a variety of factors. In some situations, cases are dismissed simply because investigators obtained incriminating evidence through illegal means (means the violated criminal investigation procedures. Sometimes, an offender can get a lesser sentence by agreeing to plead guilty in front of the court. In other cases, a jury will decide whether or not a specific individual is guilty. If the jury acquits this person, he/she will be free of charges. However, if the jury convicts the individual, a prison sentence or other punishment will most likely apply. Criminal law is a large topic that you should definitely consider familiarizing yourself with if you or your family has run into problems with the law. Knowing about the criminal statutes that apply in your respective state will enable you to better defend yourself should the need to do so arise. In most cases, hiring a personal defense attorney will be the option of choice. Here are some links to web sites that provide a wealth of information related to criminal law that you might find useful.